Bob is working on a 4-level layout with over 160 feet of track. The layout will be generic but reflect a city gateway in the pre-1960’s. Come by and give Bob some advice and encouragement. 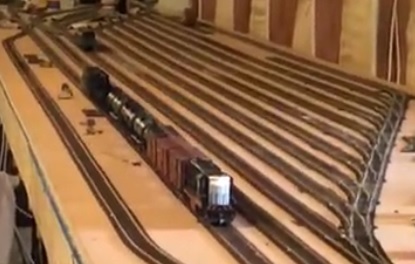 Click here to see some videos of the layout under construction. For more detailed information on Bob’s railroad click here.